The European passenger plug-in market continues pushing forward. 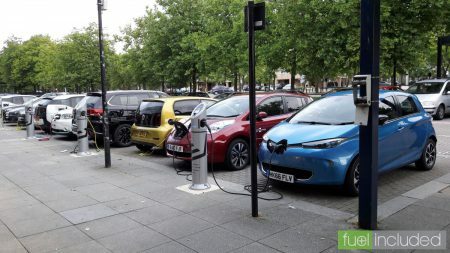 In June, the continent registered some 38,000 plug-in electric vehicles (PEV), up 37% relative to the same period last year and the continent’s second best performance ever. That showing pulled the year-to-date (YTD) count to some 185,000 deliveries (+43% year over year, or YoY). In total, the 2018 PEV market share of the overall car market there is up to 2.2% (2.4% in June). This time, fully electric cars (BEVs) grew slower (+20%) than PHEVs (+55%). Will we see all-electrics bounce back in the second half of the year? Looking at Europe’s fuel mix, diesel continues to drop significantly (-16% YoY) in a growing market (+5.2%), while all other fuels (including CNG, LPG, …) are on the rise, profiting from the diesel-fleeing stampede. At this pace, the new registrations of diesel-powered vehicles will be virtually dead by 2025. 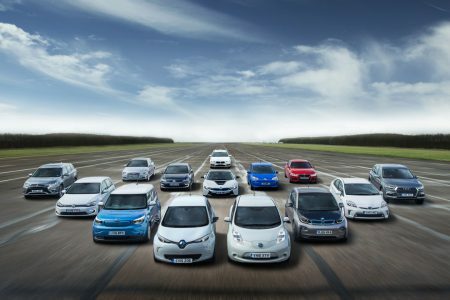 June saw the Renault Zoe beat the Nissan Leaf for the first time since February, with BEVs continuing to own the top positions. The Tesla Model S, meanwhile, profited from the usual last-month-of-quarter peak to join the top 5. It landed in the #4 position. The Mitsubishi Outlander PHEV managed to score another top 5 presence as well, winning at the same time the bestselling PHEV award. Among models that landed in 2018, the best selling one is the Land Rover Range Rover Sport PHEV, which registered 235 units in June, adding to the current 498 registrations made this year. The German plug-in electric car (PEV) market grew 23% in June, to 5,709 registrations, with plug-in hybrids (+25%) and fully electric cars (+21%) growing at a similar pace. In 2018, all-electrics are reaching 1% share, while plug-in hybrids have also grown their share to 1%, resulting in a total PEV share of 2%. But the most interesting story on the fuels mix is the Titanic-like drop of diesel vehicles sales. In June, their sales sank 16%, to the benefit of all other kinds of fuels. Diesel now represents only 31% of the market. At this pace, diesel sales could be tot in this market by 2021. Inconceivable? Well, in 12 months, diesel lost 9% share, going from 40% to 31%. Looking at June best sellers, BMW had a 1–2 win, with the i3 scoring 509 units, a new year best, while the 225xe Active Tourer registered 500 units, a new record for the German MPV. The Renault Zoe was 3rd, while the surprise of the month was the #5 Mini Countryman PHEV. With 300 deliveries, it had its best result ever in Germany. Just outside the top 5, the VW e-Golf registered only 290 deliveries, its worst performance in 11 months. Is the German brand already starting the sunset mode of its BEV hatchback?